· Completing a feasibility study of the renovation and re-envisioning of the museum’s Randolph Road location, to include such factors as a North Carolina Pottery Research Center, classroom space, studios, a children’s center, and increased public access to the museum’s library. Over the course of the past year, museum staff, volunteers, and community leaders have worked together, in consultation with the Center for Intentional Leadership, to outline four strategic pillars to undergird the plan: amplifying the museum’s community relevance; strengthening the museum’s permanent collections and exhibitions; increasing learning and engagement opportunities throughout the region; and focusing on long-term sustainability. In addition, three overarching goals of improved technology, communication, and service are woven throughout the plan. Employees, volunteers, and museum affiliate groups outlined dozens of specific tactics they will employ in support of the goals and strategies. Progress will be measured by such performance indicators as attendance, visitor surveys, increased participation in educational programs, and increased giving to the museum. Many of the goals will be accomplished by refocusing existing resources, but others will require new forms of investment. The plan incorporates key planning and assessment strategies to determine the scope of critical priorities outlined by the museum. Copies of the complete plan, and interviews with Dr. Jameson, are available upon request. As the oldest art museum in North Carolina, and the art museum with one of the largest collections between New Orleans and Washington, DC, The Mint Museum offers its visitors inspiring and transformative experiences through art from around the world via innovative collections, ground-breaking exhibitions, riveting educational programs, and profound scholarship. The Mint Museum is a non-profit, visual arts institution comprised of two dynamic facilities: Mint Museum Uptown and Mint Museum Randolph. Located in what was the original branch of the United States Mint, Mint Museum Randolph opened in 1936 in Charlotte’s Eastover neighborhood as the first art museum in North Carolina. Today, in a beautiful park setting, intimate galleries invite visitors to engage with the art of the ancient Americas, ceramics and decorative arts, historic costume and fashionable dress, European and African art, among other collections. Resources include a reference library with over 18,000 volumes, a theater featuring lectures and performances, and a museum shop offering merchandise that complements both the permanent collection and special exhibitions. Mint Museum Uptown houses the internationally renowned Craft + Design collection, as well as outstanding collections of American, contemporary, and European art. Designed by Machado and Silvetti Associates of Boston, the five-story, 145,000-square-foot facility combines inspiring architecture with cutting-edge exhibitions to provide visitors with unparalleled educational and cultural experiences. 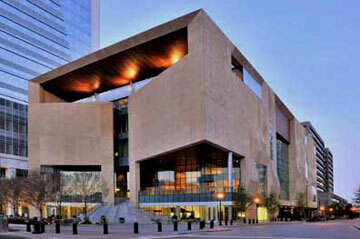 Located in the heart of Charlotte’s burgeoning center city, Mint Museum Uptown is an integral part of the Levine Center for the Arts, a cultural campus that includes the Bechtler Museum of Modern Art, the Harvey B. Gantt Center for African-American Arts and Culture, the Knight Theater, and the Duke Energy Center. Mint Museum Uptown also features a wide range of visitor amenities, including the 240-seat James B. Duke Auditorium, the Lewis Family Gallery, art studios, a restaurant, and a museum shop. For more information, check out (www.mintmuseum.org). Lark & Key Gallery and Boutique in Charlotte, NC, will present the exhibit, New Works, featuring works by Angie Renfro and Julie Covington, on view from Feb. 1 through Mar. 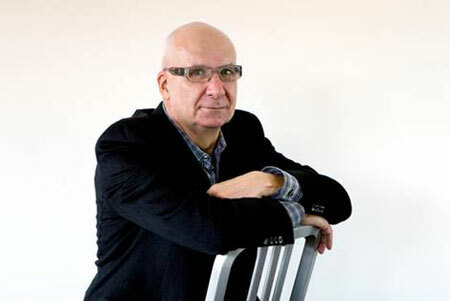 31, 2012. Angie Renfro’s impressionistic oil paintings capture the quiet, unassuming beauty of everyday objects and landscapes. Her multi-layered technique and paired down compositions take the ordinary and transforms it into something extraordinary. Drawn to subjects that are often over-looked, Renfro finds beauty in their loneliness. There is a sense of nostalgia in her work that is countered by her contemporary painting style. Her bold strokes are deliberately blurred, hints of bright colors create tension in an otherwise muted palette, and compositions are calm and austere. Originally from Texas, Renfro currently resides in Chicago. She was named “Artist to Watch” in the October 2006 issue of Southwest Art Magazine, featured in the August 2008 and August 2010 editions of American Art Collector and was the featured artist in the September 2010 issue of Southwest Art Magazine. Julie Covington began working with clay as a teenager and has long held an interest in living a handmade life. After college she spent several years in Thailand and New Mexico working on a larger scale, gaining experience with indigenous architecture using clay, sand and straw. Drawn to the combination of form and function, slowly sculpting houses out of earthen materials allowed her to continue her exploration of creating objects that are useful as well as beautiful. Covington’s high-fired pots, wheel-thrown and altered, are heavily influence by her experience with other cultures. The surfaces are decorated with patterns using a wax resist technique, with designs that range from vines to more primitive imagery. She strives to make sweet, yet sturdy one-of-a-kind pots that can survive a rough and tumble life as well as enhance it. Based in Asheville, NC, Covington is passionate about living a life with as many handcrafted ingredients as possible. For more info call the gallery at 704/334-4616 or visit (www.larkandkey.com). The Mint Museum in Charlotte, NC, is presenting the exhibit, A Thriving Tradition: 75 Years of Collecting North Carolina Pottery, on view at Mint Museum Randolph through Jan. 5, 2013. One year after the Mint Museum opened, four pieces of pottery by Benjamin Wade Owen, a principal potter at Jugtown, were gifted to the museum. These objects were the beginning of the museum’s North Carolina pottery collection, which has now grown to more than 2,100 examples that includes objects that range from the last quarter of the eighteenth century to the first decades of the twenty-first. All of the major pottery centers of the state – the Piedmont, Catawba Valley, the mountains – are represented, as are most of the state’s family dynasties of potters, such as the Coles, the Cravens, and the Reinhardts. Burlon Craig, American, 1914-2002, Face Jug, ca. 1978, stoneware. Gift of Daisy Wade Bridges. More than 100 examples of the Mint’s pottery collection and on display in this exhibition. The exhibition features work by 75 potters and is offered as a part of the museum’s celebration of its 75th anniversary as a public art institution, the oldest one in North Carolina. The Mint Museum’s pottery collection was developed in large part because of the passion, connoisseurship, and generosity of key collectors of North Carolina pottery. Some of these collectors adopted an encyclopedic approach to their collecting efforts, acquiring examples of pottery from all of the key pottery regions in the state. Other museum patrons preferred a more specialized strategy, focusing their collecting efforts on a specific potter or a particular type of ware. Regardless of their individual interests, all of these collectors contributed enormously to the depth and breadth of the museum’s North Carolina pottery collection as it exists today. The exhibition pays tribute to these ceramics enthusiasts by putting on view notable works from their respective collections. In addition to works from the museum’s permanent collection, the exhibition includes many objects borrowed from local collectors. By continuing to acquire works made by North Carolina potters, contemporary collectors help to ensure that the state’s most important craft tradition remains vibrant. The loans on view illustrate the tremendous variety of objects being collected by current enthusiasts of the craft. One final key aspect of the exhibition is that it runs concurrently, or at least partially, at the Mint Museum Randolph and the North Carolina Pottery Center in Seagrove, NC. Both institutions feature works that range from the early nineteenth century to today, represent the major pottery regions of the state, and include items from the Mint’s permanent collection and loans. This exhibition represents the inaugural collaboration between the North Carolina Pottery Center and the Mint Museum. The exhibition will be on view at the NC Pottery Center through Jan. 28 2012. This exhibit was organized by Brian Gallagher, Mint Curator of Decorative Arts. In addition to A Thriving Tradition, the Mint is proud to offer the following programming that supports the exhibition: On Tuesday, Jan. 17, 2012, from 6:30-7:30pm – Lecture and Pottery Demonstration, Mint Museum Randolph, Education Classroom – The Black History of Face Jugs, with Jim McDowell, “The Black Potter”. On Tuesday, Mar. 20, 2012, 6:30-7:30pm – Panel Discussion, Mint Museum Randolph, Van Every Auditorium – Collecting North Carolina Pottery: The Early Years, with Daisy Wade Bridges, Allen Huffman, William Ivey, and Charles G. Zug III. With over 200,000 visitors each year, The Mint Museum is comprised of two dynamic facilities: the newly opened Mint Museum Uptown and the historic Mint Museum Randolph. 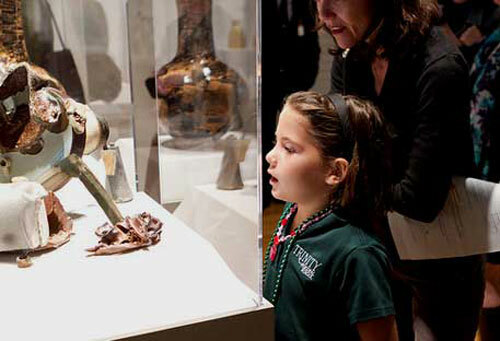 As the oldest art museum in North Carolina, The Mint Museum offers its visitors a remarkable opportunity to experience art through two facilities that feature a global collection of over 33,000 objects spanning over 4,500 years of human creativity. Located in what was the original branch of the United States Mint, the Mint Museum Randolph opened in 1936 in Charlotte’s Eastover neighborhood. Today, intimate galleries invite visitors to engage with the art of the ancient Americas, ceramics and decorative arts, historic costume and fashionable dress, European, African, and Asian art, among other collections. Resources include a reference library with over 18,000 volumes, a theater featuring lectures and performances, and a museum shop. For further info call 704/337-2000 or visit (www.mintmuseum.org).